I got this book from BookSale for a very cheap price of P20 during one of my trips there. Susan Powter is an Australian motivational speaker, nutritionist, personal trainer and best-selling author. In “The Politics of Stupid,” she talks about weight loss and how to do it right. 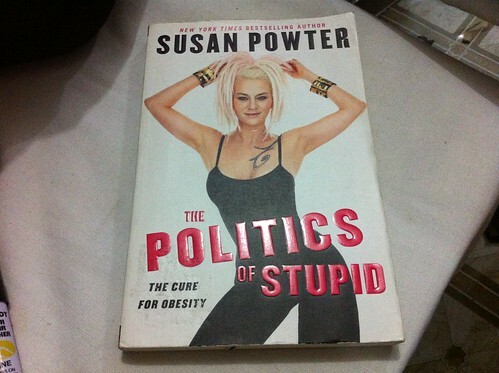 Susan Powter herself on the cover of her own book! In the book, Powter unabashedly claimed that “dieting doesn’t work.” I think I’ll have to agree with her on that but only if we’re talking about the long term effects. You see, my GM Diet worked because I lost a total of 7 lbs. when I finished the 7-day diet plan. Which made me believe that dieting helps especially if you just want to “jumpstart” your weight loss. But I digress.